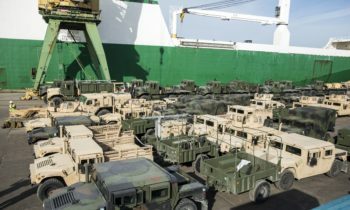 Ground forces from 13 nations are rehearsing in Latvia and Estonia amassing a large-scale force for a future crisis – from loading prepositioned equipment from caves in Norway onto a ship, to organizing the force in theater, to launching an assault. 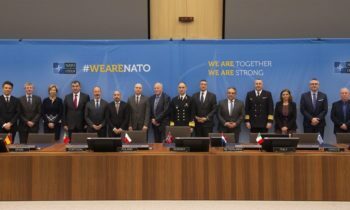 The 13 NATO countries participating in the annual Saber Strike 16 exercise – including both Army and Marine Corps forces from the United States – will include both the command and control side of planning a multinational strike as well as live-fire assaults. This collective capability to move and conduct operations together is important for regional security and proves the importance and the effectiveness of the U.S./NATO alliance, according to several Marines. “Operation Saber Strike has been a massive logistical undertaking. It’s a proof of concept that we are able to pull gear and aggregate it in Latvia in order to support our NATO allies,” Capt. Brian Geisen, a logistics officer with CLR-2, said in a Marine Corps news release. The BSRF will also bring a weapons “that specializes in heavy machine guns and 81mm mortar systems. BSRF will be providing direct and indirect fires for multiple countries during the company live-fire assaults. 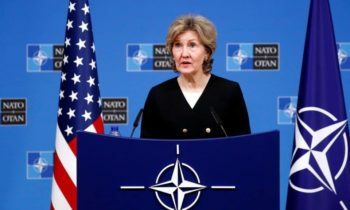 These ranges will highlight our ability to coordinate and integrate our militaries on a complex assault to move towards the same objective as one.,” Hays said. The live-fire portion of the exercise takes place in Latvia and will include U.S. Marines and soldiers, British soldiers and Royal Marine Commandos, and Lithuanian, Polish, Norwegian and Latvian soldiers. The full complement of allies – U.S., United Kingdom, Latvia, Estonia, Poland, Lithuania, Norway, Denmark, Germany, France, Luxembourg, Finland and Slovenia – will conduct the command post exercise of the exercise in Estonia, the exercise’s host nation. Maj. Christopher Reynolds, executive officer of the Black Sea Rotational Force, told USNI News that it was important to practice working with these allies on complex logistical and tactical operations now to ensure success in future operations that will invariably require international cooperation. 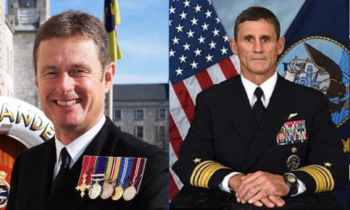 “We will not face the challenges alone, we will be working with our partners around the world in a multinational environment,” he said of whatever the next contingency may be. “We have seen first hand the benefits and successes in these multinational operations. However, bringing forces together from different nations is not without its challenges. Sometimes you will have issues with a language. Not everyone will speak the same language or even have enough personnel that would speak a shared language – this would require additional personnel to serve as interpreters. It can also cause a delay in communication and can impact both planning and execution. There are also issues with compatibility of equipment, especially communication equipment. Even when there are some common standard operating procedures (SOPs) between numerous partners they are not always the same and sometimes countries will resort to their individual SOPs. Lt. Col. Kirk Parsons, the lead Saber Strike 16 planner for U.S. Marine Forces Europe and Africa, said these challenges were minimized through extensive prior planning. “We had three planning conferences prior to the exercise that helped everything gel nicely. At the conferences we were able to not just build plans, but relationships, so when we arrived it was like a reunion,” he told USNI News. The stated goal of the exercise is to help NATO members “respond more to regional crises and meet their own security needs by improving the security of borders and countering threats.” Though Russia has responded to the exercise by noting its “alarm,” Marine Corps spokesman Maj. Richard Ulsh told USNI News that the exercise is not meant to send a signal to Moscow. “The ultimate goal of the exercise is to improve the security and stability in Europe by demonstrating the Marine Corps’ capability to rapidly amass forces in a foreign country utilizing prepositioned equipment in caves to support our Allies. Current events are coincidental, but not causal,” he said.